What impact will the Kavanaugh controversy have on the midterms? NBC’s Alex Seitz-Wald and Benjy Sarlin check it out. 2020: The 2020 race is kicking into gear even before the midterms, notes the Washington Post. Joe Biden will have to wrestle with the ghosts of the Hill-Thomas hearings as he weighs a 2020 bid. CA-50: The Washington Post fact-checks that nasty Duncan Hunter ad that references Muslim extremism. FL: The governor of Puerto Rico is slated to endorse Democratic candidates in the state today. FL-GOV: Progressive billionaires are all in for Andrew Gillum, POLITICO writes. Gillum fired a staffer after he wore an offensive t-shirt — and after inappropriate tweets resurfaced. IL-GOV: Hillary Clinton will campaign with J.B. Pritzker. 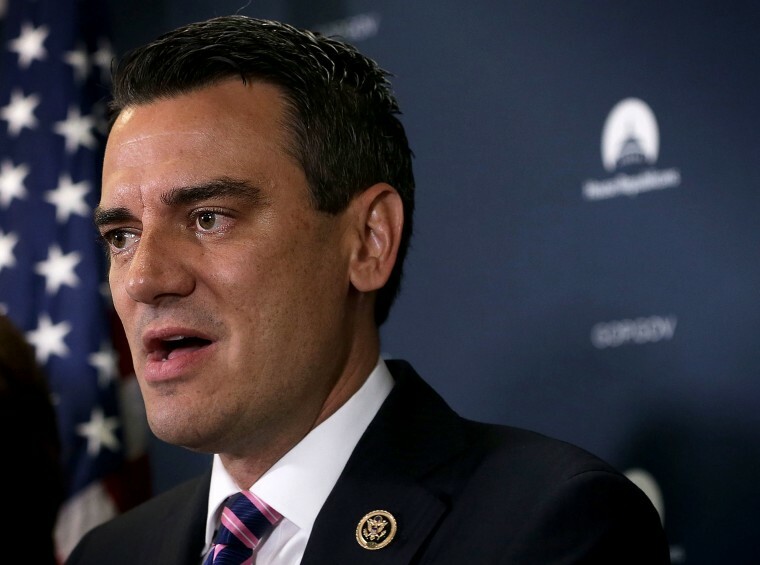 KS-3: A bad sign for Kevin Yoder — the NRCC is pulling a million dollars in planned ads for him. MS-SEN: The Washington Post checks in on the state of the Mississippi Senate contest. MT-SEN: Kavanaugh was a major topic at the first debate between Jon Tester and Matt Rosendale. NY-GOV: Andrew Cuomo is slated to cruise to victory, a new Siena poll finds. TN-SEN: Trump is heading to Tennessee for a rally for Marsha Blackburn. TX-SEN: Beto O’Rourke is making a big bet on expanding Medicaid. Will it work? O’Rourke again addressed a police report from his 1998 DUI, refuting the idea that he tried to flee the scene. The second Cruz-O’Rourke debate was postponed due to the Kavanaugh chaos. TX-32: The Wall Street Journal looks at how Pete Sessions is fighting for his seat after years of skating by. WI-GOV: The AP delves into how Tony Evers’ running mate, Mandela Barnes, is mixing things up. Scott Walker says that, if he wins in November, it’ll be his final term. NBC’s Pete Williams previews the new session of the court as the eight justices await their next colleague. The latest argument: The scope and limitations of the FBI probe into Kavanaugh. Lindsey Graham says he wants a probe of Democrats’ handling of Dr. Ford’s accusations. Jeff Flake may have saved Republicans from themselves, writes the New York Times. Before Kavanaugh, 27 federal officials or candidates faced allegations of sexual misconduct. Here’s what’s happened to them. Party loyalty is trumping gender for Republican women in the #meToo era, POLITICO notes. The U.S. and Canada have reached a trade deal that will salvage NAFTA as a trilateral agreement with Mexico. POLITICO has a deep dive into Elaine Chao’s mysterious schedule.